ALM Positioners Inc. was awarded a patent related to the development of its Robot Ready hydraulic positioners. The patented technology virtually eliminates programmed position variability, which is important for robotic welding. This improvement provides a multi-axis positioning solution for large weldments at a lower cost than conventional servo positioning technology. 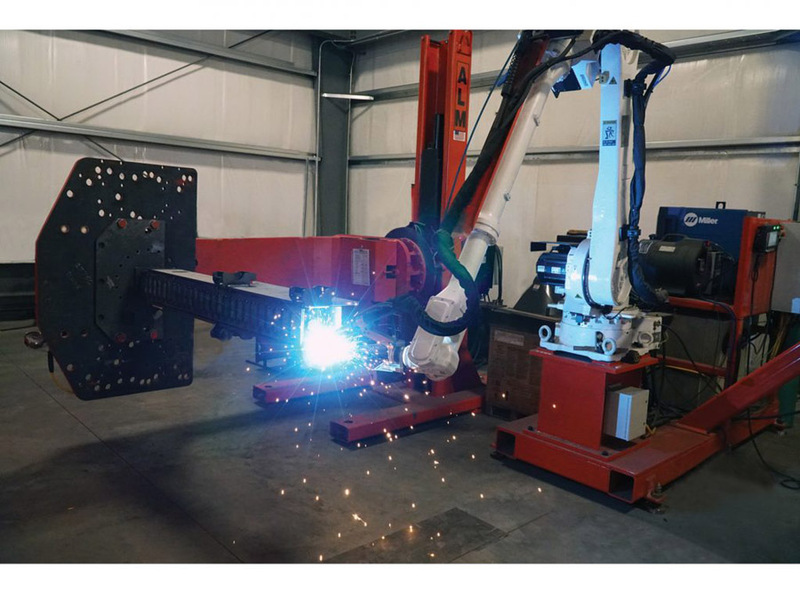 The patented feature is a result of ALM’s drive to create a family of high-capacity multi-axis positioners suitable for programmable positioning; intelligent welding, which correlates programmed part position with weld requirements; and robotic welding.